Last week Andy and I waved goodbye to 5 of our friends from the UK, as their long anticipated trip to visit us in Cambodia for two weeks came to an end. The first couple of days whilst we were at work we sent them all (well nearly all) off to see the magnificent Temples of Angkor. We then took some days off work to spend some time with them and play tour guide! We took them by bicycle, tuk-tuk and foot around the sites of Siem Reap to give them some insight into our life here. This included the grand tour of our traditional Khmer house (aka the big wooden shed), the local markets, and our favourite eateries and drinkeries. They put in a sterling effort at sampling the good, but cheap food and drink, and often hectic social life on offer here. In my element with planning as always I’d arranged a few fun activities too. 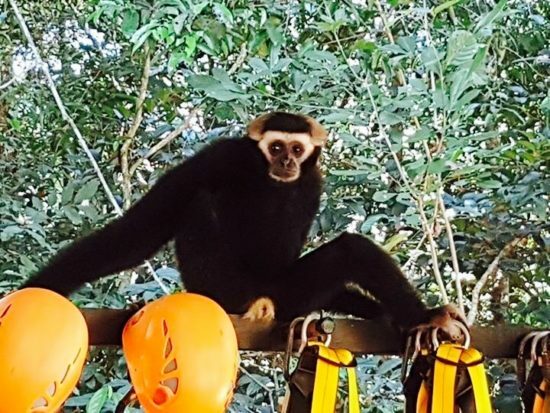 We bicycled into rural Cambodia, past lotus fields towards Tonle Sap to the hammock bars, and had trips to The Great Escape and Angkor Zip Line (previously Flight of the Gibbon) – both which I can highly recommend. Our friends time in Siem Reap coincided nicely with New Year meaning they got to experience the crazy celebrations that ensued. New Year here was also a first for us which made sharing this as a ‘first’ even better. It was great being able show friends around what is our home town for the next year or so (at least), and introducing them to some of the great people we’ve met here. We hope they saw why we love it here and chose this as the first step on our adventure. The first week sped by and soon it was time to venture further afield to show the everyone more of Cambodia. 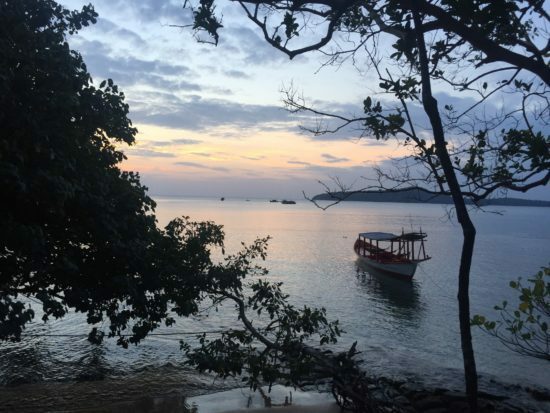 We headed South to the coast to Kampot and Kep, then towards Sihanoukville for some sun and sand on Otres 2 beach. Last but. It least we spent several days on the still relatively off the beaten track Koh Ta Kiev Island. I feel quite confident in saying ‘a great time was had by all’, for the most part at any rate. The fact that we spent much of the 2 weeks in fits of laughter, sometimes to the point of tears indicates it couldn’t have been too bad. Admittedly though much of that laughter did stem from the dance floor shapes thrown by one of the group and from another sporting a fetching zebra print mankini on the final night! However true to form amongst our group of friends, nothing ever runs smoothly or to plan! From the second they left home in the UK to the day they flew home, the calamities rolled in…one after another. Nothing too disastrous I’m happy to say. More the type of things that are an inconvenience or even pretty awful at the time, but which you eventually look back and laugh about. Many of our weeks calamities would be best suited to the English TV show ‘You’ve Been Framed’. As you all know it’s usually the calamities that make for the best stories, so I thought it was only fair to share the best with you. So without further ado and in the true order of events…our list of New Year 2017 Cambodia Calamities*. I hope you find these anecdotes as funny and entertaining as we did, although with some of them you probably just had to be there! The arrival of the first couple resulted in a rather boozy tour of Siem Reap’s finest (and not so fine) drinking establishments. All well and good you may say but when Andy and I bailed soon after midnight (there’s only so much of Pub Street you can take if you live here) our 2 friends decided to stay out…until 6am! All plans for exploring the markets went out the window as they wasted their first day sleeping off horrible hangovers. I bet they’d wish they’d given ‘just one more beer’ a miss! The other 3 friends nearly didn’t even make it to Cambodia after being held up on London’s M25 on the way to Heathrow Airport. One of the lads jumped out and made mad dash through the airport to try and hold the flight whilst the others parked up. Unsurprisingly the flight wouldn’t wait so he had to get the flight alone, whilst the other couple had to book themselves on the next one. Luckily they managed to make their connecting flight and the 3 of them all met up again in Phnom Penh in time for their flight to Siem Reap. The moral of that story is ‘give yourself some extra time to get to the airport’…just in case! As if nearly missing your flight and having to fly without your friends wasn’t enough, the lad who tried to hold the flight arrived in Phnom Penh to find his check in bag hadn’t made it. Cue 48 hours of countless emails and calls trying to track the bag down and get it safely delivered, not to mention living in the same T-Shirt and Shorts. Fortunately a trip to the market furnished him with some clean boxers. Finally he was reunited with his bag, the look of relief on his face was immense – his face lit up! #4 Can she sleep at the end of our bed? One night most of the group went out, including some expat and local friends from Siem Reap and had a great night which ended with tuk-tuks back to our beds at varying fairly respectable times (or so we thought). Andy and I got dropped off whilst one of the husbands of the group stayed in the tuk-tuk to make sure a local ‘girl’ friend of ours got home o.k. Next morning the talk of the group was that the wife of said husband had been woken up in the early hours by her husband and the girl he was meant to be seeing safely home. He asked if she could sleep at the end of the bed as she’d not been very well and he couldn’t leave her in the street’. Bless him he meant well…but bringing a random lady to into your bedroom to sleep at the end of you and your wifes bed…seriously what was he thinking?? Maybe not the best judgement call in the world – he definitely had a lot of making up to do the few days. The same night as #4 one of the girls left her boyfriend asleep at the guesthouse whilst she came out with the rest of us. After a few hours she rushed home in a tuk-tuk to get back before her boyfriend woke up in mad panic, wondering where she was. Slightly worse for wear she dropped the entire contents of her bags all over the pavement as it split whilst she was getting out of the tuk-tuk. Our other friend who’d gone with her picked it all up for her…minus the phone. Although to be fair it could have slipped out of the tuk-tuk at any point in the journey. The funny thing was, when she got back to the room her boyfriend was still sound asleep, in exactly the same position she’d left him in after a massage earlier that night – with a little white towel covering his modesty. He hadn’t even noticed she’d gone, so all that rushing and a lost phone for nothing! You’d think a factor 50 sun lotion should do the trick, but no, not for one member of our group it didn’t. Removing his T-Shirt on the beach we all saw he’d cultured a beautiful ‘tw*t tan’ whilst out on a scooter the day before in Kampot. 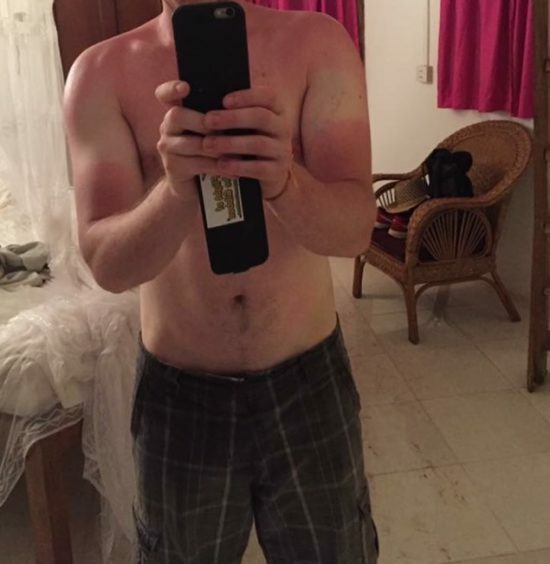 The extreme sunburn/ ‘tw*t tan’, looked pretty painful and over the following week went through varying stages until on week two it reached, as nicely described in his own words on a selfie he took ‘The top half is well seasoned, as is the bottom half, with a small patch of no mans land in the middle. Layer Cake’. Poor chap! Not a calamity as such but it definitely had the potential to turn into a nasty one. 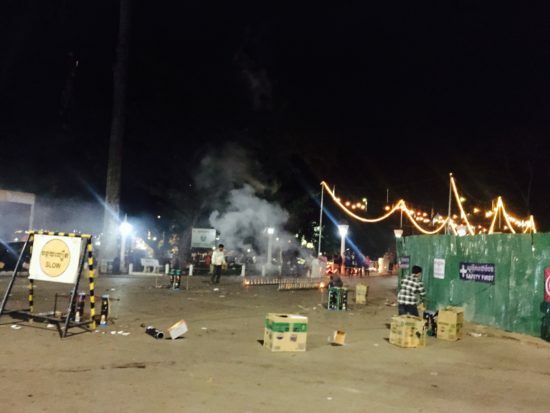 Cambodians love a good party and have a penchant for fireworks, resulting in the pretty substantial display being set-up and detonated on one of the bridges over the river! Nothing dodgy about that I hear you say…ah yes but what about if the bridge still has cars going over and past it and the bridge is located right next to a petrol station! Hmmm health and safety at its finest! We vacated the area before the New Year really was seen in with a BANG! There was a second near calamity on New Years eve when a couple of young girls started on us ‘slightly’ older ladies in the club we were in. They were spoiling for a fight and desperately trying to get us to react and kick off with them. We’re too old for that malarkey though and it’s really not our style, so between us and an expat friend, we managed to diffuse it. All was well in the world again! On our trip to Angkor Zipline, a course which has 10 ziplines, 21 treetop platforms, four sky-bridges and an abseil finish, one of our group nearly ended up singing falsetto as the harness completely crushed his nuts when he was left dangling off the ground on the abseil. To make it worse he’d been quite nervous about the whole experience at the beginning so this was just the icing on the cake. The look on his face was a picture! We travelled down to Kampot by mini-bus and half way there received a panicked call from the Siem Reap guesthouse our friends had been staying in. It turned out our lovely mini-bus driver had not only kindly put all of our bags in the bus whilst we’d been finishing breakfast, but also the bags of another group of people. This poor group of people were due to fly out of Siem Reap that day so the next couple of hours our driver had to cruise around Phnom Penh trying to find a bus that was going back to Siem Reap to put the bags on. I have to admit I did think when we go to the bus that everyone had packed rather on the heavy side, but unfortunately thought nothing of it. We eventually ended up in Kampot 9 hours later (3 hours later than planned), and the bags finally made their way back to their owners. 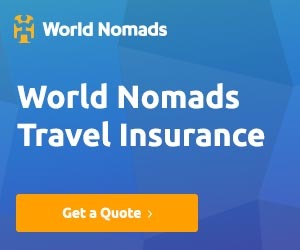 Not ideal for anyone involved, but it was a complete accident and misunderstanding and could have happened to anyone, it was dealt with really well by the guesthouse and driver. The journey down to Kampot had a rather bizarre effect on one of the girls…her feet and ankles swelled up until she thought they might burst like a cooked sausage. Obviously elephant feet comments followed her about for a couple of days, but all jokes aside it was pretty nasty and painful for her and put her out of action until the swelling went down. Too this day we don’t know what caused it! 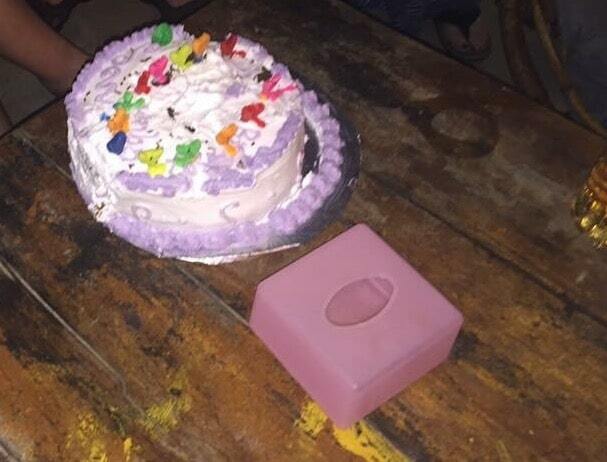 It was one of the girls birthdays the day we were going to Otres 2 beach from Kampot and her husband wanted to sort out a birthday cake for her. We managed to source one in Kampot, which he went to collect the morning we were due to leave Kampot. It was a lovely chocolate cake with white icing and purple writing piped on the top saying ‘Happy Birthday Fleur, Cambo 2017). We piled into a people carrier for our journey and the husband had wedged the cake on the floor behind his feet. Although a little hot this should have been fine for an hour and half journey, and it was, until we had to stop for a toilet break. He pulled the seat forward to let us out of the back of the people and crushed the side of the cake! A quick inspection showed not too much damage had been done…it wasn’t the end of the world. Half an hour later we arrived at Otres 2 and hauled our bags out of the vehicle and into the reception. I glanced round just in time to see the husband chuck his bag onto the table…right on top of the Birthday cake. He immediately realised what he’d done and aghast removed his (now cream covered) bag from the cake box. This time it hadn’t been quite so lucky, the writing was indecipherable and the cake nearly crushed beyond recognition. Luckily his wife has a good sense of humour…she has to have really and when we presented her with the sorry excuse for a cake that night, along with it’s well travelled story she found it funny. Now this was a true calamity, a disaster for all involved and definitely not funny by any stretch of the imagination. However I thought it should be included, to show things can and do go wrong whilst travelling. I’d popped to the ATM one afternoon whilst the others were relaxing on the beach on Otres 2. As I got closer I suddenly realised there were plumes of smoke coming from one of the properties opposite the ATM and on the opposite side of the road to our hostel. I could hear explosions, probably gas canisters and bottles of spirits so I ditched the ATM idea as it didn’t seem safe and returned to the group to update them. The fire brigade had just arrived and it looked as if they were about to get it under control, so at that point we weren’t too concerned. 15 minutes later we noticed that in actual fact the plumes of smoke were getting bigger, concerned that the flames may have reached our hostel we grabbed our beach stuff and headed up the beach. All along the beach were locals and tourists helping to damp down all the beach accommodation, restaurants and bars to try and stop it spreading further. At that point it had spread through at least 2 properties so we ran to remove all our belongings from our hostel and put them on the pier in case the fire reached that far. By the time the fire brigade got it all under control it had razed at least 4 properties to the Otres 2 fire 2017. Luckily it never reached our hostel so we returned later that afternoon, but it was so sad seeing so many peoples livelihood and belongings going up in flames like that. Just as we were moving our belongings from our hostel to the pier during the fire on Otres 2, a motorcycle came flying down the beach out of nowhere. I just managed to jump out of the way in time but at that point a dog ran out in front of the bike, he swerved to avoid the dog and clipped one of the lads, before falling off the bike himself into some sunbeds. Luckily no-one was hurt, but the motorcyclist was so angry with the dog, he picked up the nearest thing to hand, a coconut and hurled it at the dog! He missed it by a mile and whilst I do not condone throwing coconuts at dogs, it was rather comical to watch his terrible shot. We popped to Otres 1 one evening to find a functioning ATM and have dinner. Directly opposite our restaurant were some giant inflatables just a short way out from the shore. Despite it being pitch dark out there one of the girls and her boyfriend couldn’t resist it or the possibility of seeing phosphorescence, so they headed out to play on the inflatable. A short while later they were back, her with some beautiful deep grazes to her legs from falling off the inflatables. Night swimming comes with it’s risks! Arriving on the gorgeous, off the beaten track Koh Ta Kiev Island many of the group couldn’t wait to get out in the water. Within minutes one of the lads stumbled out of the water clutching his foot, he’d managed to stand on a very spiky black sea urchin. Second later Andy joined us back on the beach, he also had sea urchin spines stuck in his leg. Unfortunately that wasn’t the end of it as one of the girls also stood on one. It turned out the sea bed and coral on the beach we’d decided to stay on was littered with this spiky little monsters. I had a quick snorkel and honestly I think the spines were about a foot long! After that we decided to seek out some safer areas to swim. Some warning signs definitely wouldn’t go amiss. You’d think after tw*t tan number 1 the rest of the group would have learnt a lesson, but no. A morning sunbathing on a fishing boat moored just off the beach on Ko Ta Kiev left one of the girls with extremely burnt thighs. You could have cooked an egg on them that night! This was my main contribution to the calamities and as usual I did it in spectacular style. On Koh Ta Kiev the shared toilets were a short walk away from the bunglaows we were staying in. One night towards the end I got up for a middle of the night toilet trip, which ended in tears! 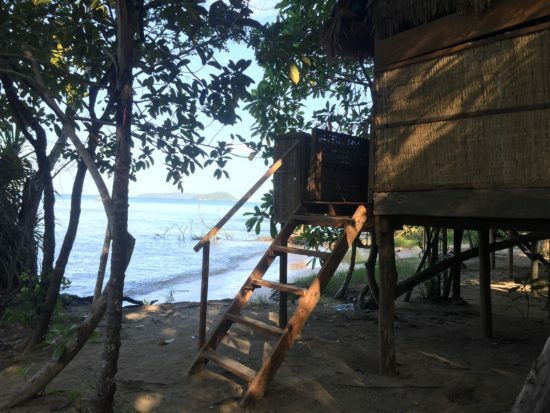 The steps to our bungalow were extremely steep, very narrow and spaced very widely apart, to make matters worse there was no back board to them. As I walked down them in the dark I managed to miss the third step from the bottom, instead putting my foot behind it. My legs slipped down behind the steps and sent me hurtling forwards face-planting the sandy ground beneath them. Stunned for a second I soon jumped up only to realise there was claret everywhere and I’d managed to make quite a mess of my face. I’d nearly bit through my lip and had a mouthful of sand with sand burn in by mouth, all over my chin and near my left eye. I’d also smashed my nose pretty hard. I honestly don’t know how I managed to not break my nose or lose any teeth, I was very lucky. If it had been concrete it would have been a different matter. Andy was great and mopped and patched me up. I spent the rest of the trip and the next week feeling sorry for myself as my injured mouth developed a huge cluster of ulcers and I tried to disguise my bruised nose, black eyes and grazes. The second we arrived on the island I’d commented to Andy that the steps looked treacherous and were an accident waiting to happen. Looks like I talked it up. On our penultimate day on the I decided to take a quick walk through the jungle to do a recce on another resort that I’d heard did pizzas. I wanted to check they were cooking that day before dragging everyone else there. The route was well sign-posted along with timings to the destination; the sign from the beach we were on that day said 5 minutes. So off I went telling my friends I wouldn’t be long 30 minutes max. I walked for about 5 minutes and came across a second sign stating it was 20 minutes to the destination. Oh well I thought, I walk quick I’ll still be back within 30 minutes, so I continued on my merry way. Another 15 minutes (these are estimated times as I had no means to tell the time with me) and I bumped into the owner of our guesthouse coming the other way. I asked him how much further and was told another 15 minutes. By this point I’d gone too far to turn back and carried on. In the back of my mind by then I was pretty sure I’d been longer than 30 minutes and was conscious the others might be worrying about me but I had no way of contacting them to let them know. After what seemed a complete age and after having to wade through a swamp and being scared witless by a rampaging cow in the undergrowth I finally found the place I was looking for. Yep you’ve guessed it they weren’t cooking pizza to later, which in a way was good as there’s no way the others would have walked that far for pizza. It was then I asked the time and discovered I’d been gone for longer than an hour and would have missed my opportunity to order food at our guesthouse. I went to the resort next door a sister to our resort and asked them to contact my friends and tell them where I was so they didn’t worry. I then turned round and started the long trek back through the jungle. After about 20 minutes I heard someone coming the other way and there was one of the boys from our group. Andy had only sent out a search party for me…completely unnecessary as I was fine. Kind of nice that they’d been worried about me though! The morning we were due to depart from the island Shaun (I have to name him here…as he needs the credit for this cracker), realised he’d left his new trainers on the beach we were on the night before. His wife told him (several times) to go and get them as the boat was due to go shortly, he kept stalling though until about 15 minutes before the boat was about to leave he decided to walk over to the other beach to find his shoes. 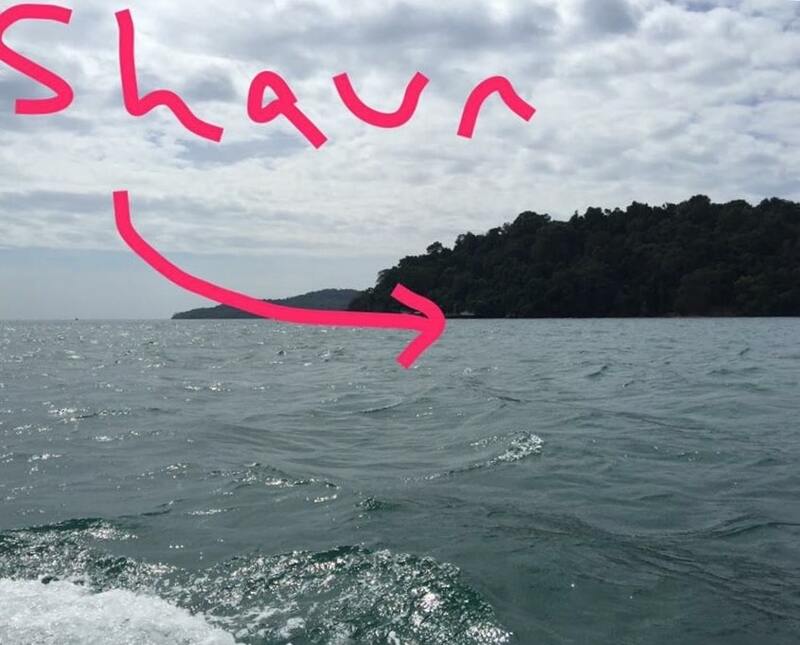 We helped the staff load all the bags onto the boat and sat on it waiting for Shaun to come back, the staff told us not to worry they’d wait for him. Then suddenly the engine started and the boat started to turn to leave. At first we thought they were joking with us and just pretending to go, then panic set (especially for his wife) as we realised that nope, they really were going to leave without him. The panic soon faded as we saw Shaun walking back up the beach and we realised how hilarious it actually was. There was absolutely nothing we could do except hope he was able to get himself on a boat from one of the other resorts. Soon after we were back on dry land the other side Shaun did indeed turn up on another boat, completely drenched as he’d had to swim out to the other boat in order to get on it in time. He was also minus his trainers; some local lad must have been very happy with their find. What a funny end to our fortnight with friends, and although it probably sounds like it was a disaster we loved every minute of it and wouldn’t of had it any other way! *Names have been left out, except for Andy’s, Shaun’s (for the boat episode), and mine for the preservation of some dignity. What funny travel or holiday calamities have you had? We’d love to hear about them in the comments below.